You may have found your dream wedding gown, but your bridal look is far from complete! The final touches to your bridal look are important, and they can pull your dress and theme together. 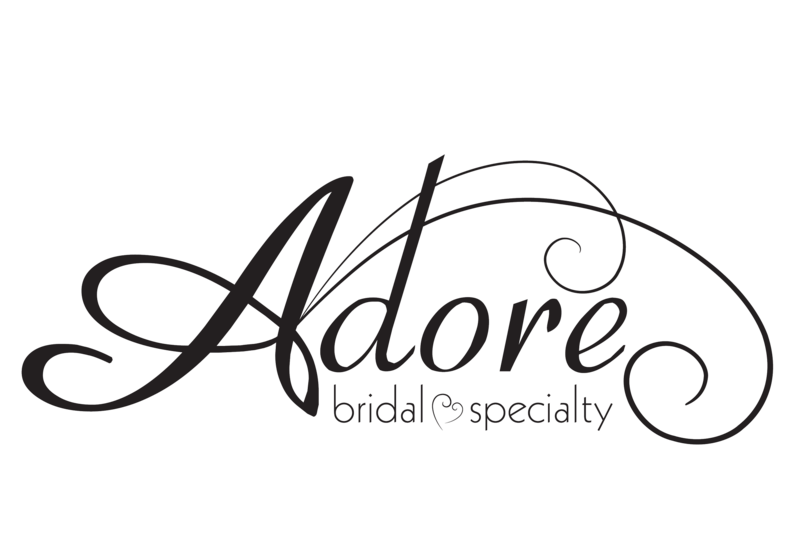 For a complete bridal look Central Illinois brides will Adore, schedule an appointment with Adore Bridal today! Understated, timeless glamour. If you are looking for simple elegance, you probably chose a simple gown with gorgeous embellishments. Jewelry that surpasses trends would help you create a classic bridal look. Pearl earrings and diamond bracelets would add a sophisticated flair. More casual than fancy, and a desire to mix and match unconventional pieces! With this look, don’t be afraid of adding some color, such as navy and burgundy. A Spanish veil could add a whimsical touch, and a stack of rings will give you a unique look! Romance at its finest! Art deco jewels, lace detailing, Victorian lockets and a Juliet cap would pair beautifully with your vintage gown! If you are looking for a bridal look for the history books, make sure your dress and accessories match your dream time period. Each bride is unique, and her bridal look should be as well! You should fall madly in love with your complete bridal look, since it is an extension of who you are as a bride. At Adore Bridal, we are a little obsessed with creating complete bridal looks! We have the bridal gowns, accessories, bridesmaid dresses and tuxedos you need for your wedding day! When looking for a complete bridal look Central Illinois brides can trust Adore Bridal to help them walk down the aisle with confidence! Call us at 309-291-0838 or schedule your appointment online today to complete your bridal look!